The City of Bloomington evidently didn’t want the memorial to a 16-year-old boy murdered by a drunk driver while riding his bicycle. Jefferson Park in El Paso agreed in only 4 days to the rock being placed there. Dale attended grade school in El Paso and junior high in their system. 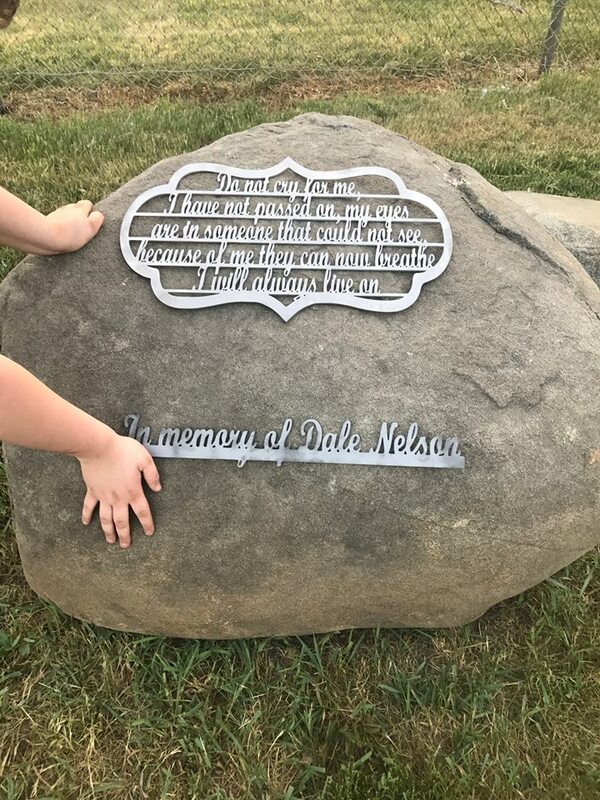 Dale’s family hopes to have it placed in time for the one anniversary of Dale’s death on August 20th. I believe WEEK News 25 is going to do a story. Bloomington may dedicate a bench in Miller Park to Dale. We are still waiting to hear. Posted in BloNo, Bloomington, Local, Renner.Tagged Dale Nelson, El Paso, Jefferson Park, memorial rock, WEEK News 25. Happy ending. And thank you to the people who initiated this effort and made it happen. Praying for Dale and his family. Glad the rock found a home. Glad it wasn’t in Bloomington, though. I hope motorists drive sober and safe and keep an eye out for the most vulnerable users of the road, like people on bikes. Just as well that it’s not in Bloomington. They’re more interested in protecting the criminals in this town and not holding them properly accountable. The rock, in ElPaso, is in a better place. Thank you to the good people there. If it was in Bloomington chances are greater for it to be vandalized. In El Paso at least it has a chance of remaining intact. Previous Post Remember Amy Leichtenberg?